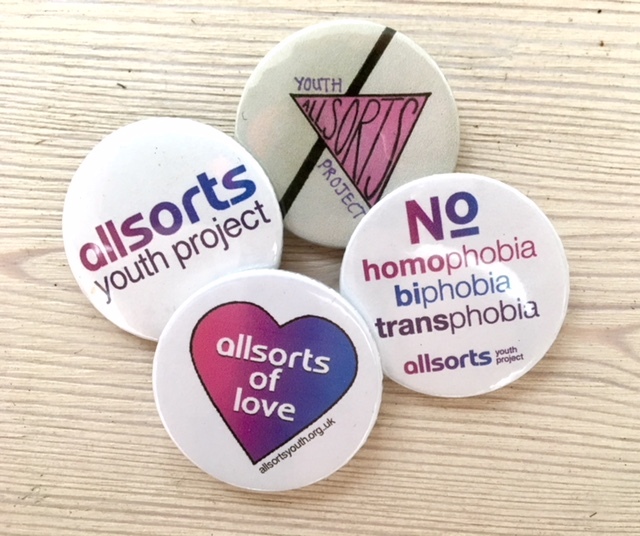 Allsorts Youth Project listens to, supports & connects children & young people under 26 who are lesbian, gay, bisexual, trans or unsure (LGBTU) of their sexual orientation and/or gender identity. 2. Training the wider community and professionals so all spaces and organisations can be safer and more inclusive for LGBTU people. Young LGBTU people deserve to feel safe and thrive at home, at school and in their communities. We facilitate age-appropriate workshops and activities that are fun, interactive and often aim to promote positive mental health and wellbeing. Provide safe spaces for young people to develop friendships with their peers. Through our advocacy service, we support young people who are 16+ to understand their rights should they ever face discrimination or issues as a result of their LGBTU identity. Support young people to feel more at ease with their gender identity, and sexual orientation and in exploring and understanding who they are. Provide specialist LGBTU youth support and education in schools, colleges and other youth settings, with the aim to positively promote LGBTU awareness and inclusion. Support young people to engage with mainstream services that range from careers advice to counselling and more. Provide young people with positive LGBT role models of varying ages, ethnicities, faiths, backgrounds, and abilities. This develops cross-generational understanding and a better sense of community history and diverse representation. Offering support to parents and carers. Celebrate diversity in all its forms including ethnicity, background, faith and ability. Please make a difference & donate. Allsorts Youth Project Ltd © is registered charity in England & Wales and regulated by the Charity Commission under number 1123014 and a Company Limited by Guarantee under number 04154118. Registered office address: 69 Ship Street, Brighton, East Sussex, BN1 1AE.